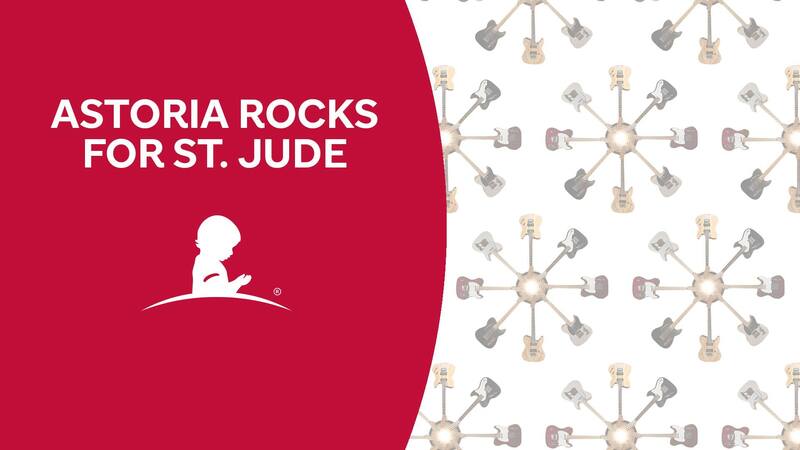 Don’t miss the Fifth Anniversary Astoria Rocks for St Jude Kids Event Benefitting St Jude Children’s Research Hospital. This music-filled event will be held at Central Lounge, the presenting sponsor, at 20-30 Steinway Street in Astoria. The event will take place on Sunday, October 21, 2018, at 4 pm. The 5th Anniversary Celebration will include live performances by Astoria’s favorite local bands, The John Fogerty Tribute Project, Soul Picnic, and Spitfire. This year’s Astoria Rocks theme is the 1970’s! Everyone is invited to come in their best 70’s getups. Guests can also enjoy a jam-packed evening of cocktails, dinner, and dancing. Delicious cookies from popular cookie bakery Chip NYC will also be available! Tickets are $50.00 which includes admission and food. A cash bar will also be available. All proceeds will go directly to St Jude Children’s Research Hospital. For opportunities to donate and ticket pricing click here!